Just a couple of awesome people, who love adventure! 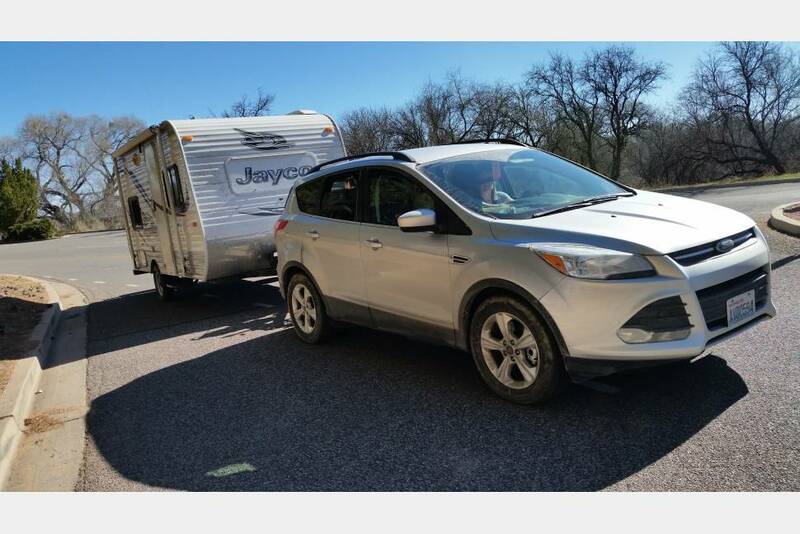 It was our first time towing an RV and Allison was great to explain and demonstate everything. She met us a week before to make sure our vehicle’s hitch was setup properly before the trip. It’s a great little camper. This trailer was perfect for our needs. Clean, easy to work systems. Allison had great communication. We weren't able to use the awning was our only issue, it had been damaged previously. Would rent this one again. Allison is a pleasure to work with. This was my first experience using a RV rental service, and Allison quickly answered all my questions. The trailer is clean and easy to tow. The trailer had everything I needed for your trip. It was well taken care of. We would definitely rent this trailer again!! Very easy process to rent the trailer. Very clean and neat inside and out. Allison was very pleasant to work with. Very happy with our experience. Towed with our Acura MDX and did great. Awesome host! Helpful, friendly, and flexible. RV worked great for us. I’d definitely recommend to others. Only complaint is it is pretty bare bones so you gotta bring your own cookware, bedding, etc. Not a big deal. We are first time users of the trailer. The experience was excellent and Allison was very helpful with explaining everything, We would use them in future. We stayed at Steamboat Rock State Park..absolutely beautiful. This was a perfect trailer for our weekend camping getaway. Allison was easy to communicate with and responded quickly. Her RV was very clean. We found it easy to tow and everything easy to use. It does not come with any dishes or kitchenware, so be prepared to bring those items. Overall, we had a nice stay in the Jayco, it suited our needs perfectly. We had a fabulous time enjoying this trailer. Perfect for our small family of four. We highly recommend this to anyone looking for a special and unforgettable family vacation! Good trailer and Allison is really easy to work with. My wife and two younger kids (ages 5 & 7) used the trailer for an extended weekend. A bit small for all 4 of us, but it had everything we needed and was easy to tow and use. Great trailer! Great owners to work with! Great little trailer, perfect for 2 adults and 2 smaller kids. Easy to pull and hook-up. We enjoyed our week using it.